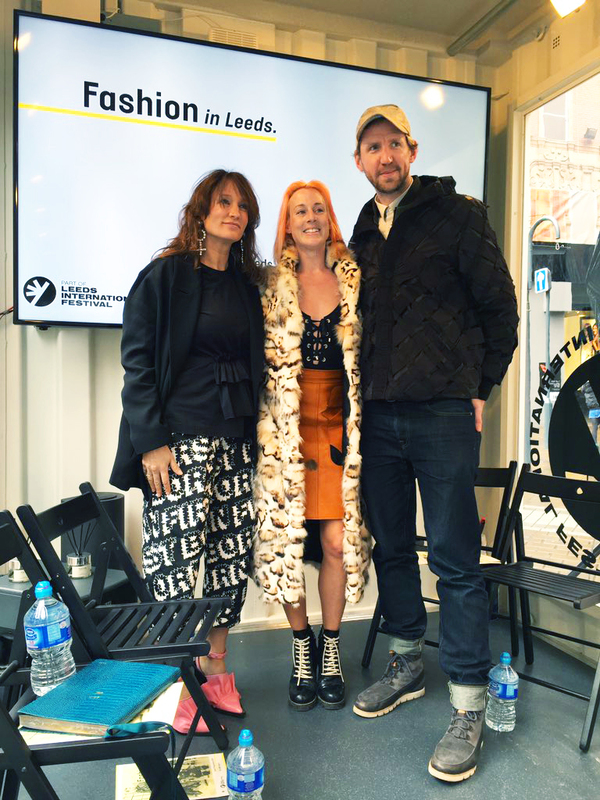 Yesterday I had the pleasure to attend a series of talks at the Leeds International Festival 2017 from some of my favourite working professionals in the fashion industry. The first of the three speakers I attended was Christopher Ræburn who is best known for recycling military materials such as life rafts, maps and parachutes. 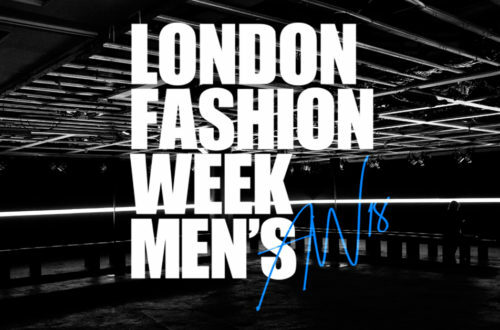 He talked us through some of his fashion films and his inspirations behind his collections and materials. The ‘Meridian‘ video from his Spring/Summer 2015 collection was a visual masterpiece using CGI to recreate his garments and showing an artistic story of the materials used in a somewhat Matrix style of dressing. 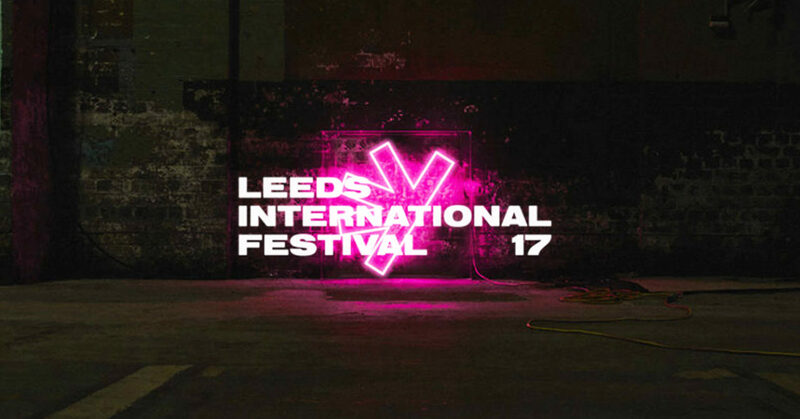 Are events like Leeds International Festival 2017 important to Leeds? With these talks being relatively small in numbers (and the fact they were hosted inside a shipping container in the middle of Briggate high street) meant that as a group we had the opportunity to talk to each of the guests and have quite an intimate Q&A. Though this was a huge bonus for me, it was a shame to see such influential speakers be in the presence of such a small crowd. Events and talks like these in Leeds are definitely infrequent but are highly valued. Leeds College of Art is an incredibly established art school and with many other designers and artists coming from the Northern territories of England I believe it should have more of a direct address in these areas as a lot of focus (naturally) is on London and London art school graduated designers. I always enjoy listening to designers, artists and industry professionals talking about their careers and experiences and I definitely feel that these events would not go amiss in Leeds. 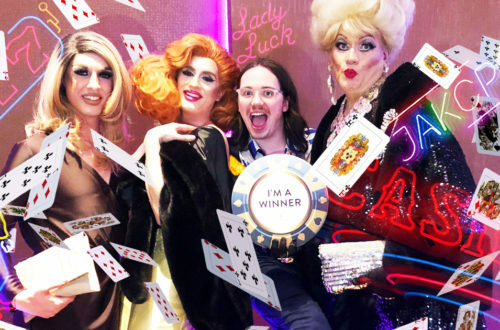 Please, please, PLEASE can we get more incredible speakers like these heading to Leeds in the near future, not just for my sake but for the hundreds of fashion students and industry workers Leeds has to offer!